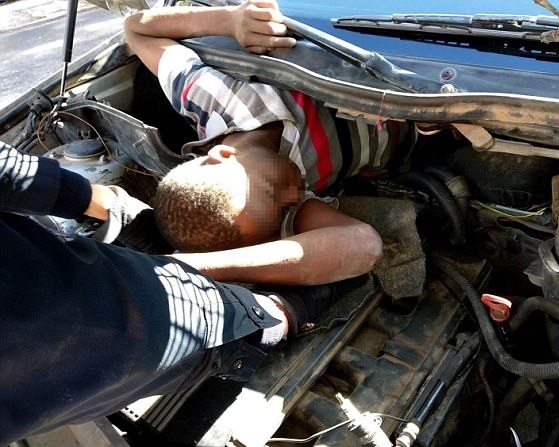 Four suspected migrants have been caught trying to sneak into Europe by hiding inside a car as it crossed into the Spanish North African territory of Melilla. 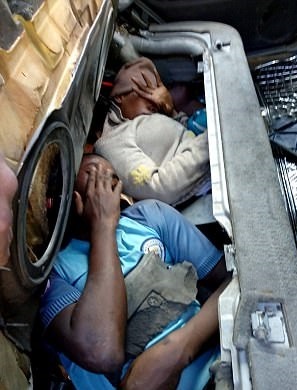 Two of the people - from sub-Saharan Africa - were hiding in the car's boot, while another was found under the bonnet. A fourth, a woman, was reportedly found under the dashboard. The driver and a passenger in the car were also detained, according to Spanish daily La Vanguardia. Two police officers involved in catching the four suspected migrants had to be treated for injuries - one after taking a blow to the knee, the other after being hit in the hand.